There has always been an element of musical bootlegging running through the folk and blues genres. From the earliest songs by Blind Lemon Jefferson, Dock Boggs, and Tampa Red, folk and blues have run shoulder to shoulder in a continual back-and-forth struggle to prove who can co-opt the other more successfully. As these genres developed and evolved and slowly became inextricably entwined, this aspect continued without resolve. Later blues artists like Skip James, Mississippi Fred McDowell, and Son House began to influence major folk (and country) artists like Johnny Cash, Townes Van Zandt, and Bob Dylan and so the genre integration continued. And while each of these artists were able to put their own distinct stamp on the material, no one has come under more fire lately then Dylan—ostensibly because he’s still releasing new material—for his less than subtle appropriation of old blues melodies and folk idioms, which he reworks into new songs. Hell, Dylan has even admitted to stealing his guitar technique from his musical idol Woody Guthrie. That being said, many of these older songs were never written down, at least initially. They were passed on through repetition and a love of the music. If someone hadn’t begun playing or recording these songs, many of them might have been lost to music fans. Alan Lomax and Harry Smith, both of whom were known for their love and dedication to the restoration and preservation of folk and blues music, knew that this type of music flourished through interpretation, and you might find dozens of variations of the same song performed by a handful of different musicians spread across their expansive musical anthologies. This was how music survived before reliable recording techniques were developed and mass-marketed. Bob Dylan has done more to keep these kinds of songs alive and viable through his own recordings than almost any other artist living. My point is that those who focus solely on his blatant use of established genre techniques and practices are missing the point. This music survives through those artists who continually and faithfully reinterpret their influences, Dylan included. For his 35th(!?!) studio album Tempest, he brings some of that characteristic fire and vitriol of his earlier albums to bare across these 10 tracks. Of course, with each new album, there are always critics who quickly hail it as a return to form or a new phase for Dylan, but if you’re even remotely familiar with his admittedly extensive discography, this is precisely the kind of album that Dylan loves to release. Setting aside a few albums in the 80’s, Dylan has never veered, either musically or lyrically, from the themes and ideas which spurred on his own seminal works like Blood On The Tracks or Blonde On Blonde. Dylan has always been angry. He just hides it behind a procession of lyrically evasive cynicism and traditionalist folk-imagery better than most. 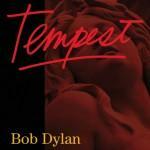 That distinctive cynicism strikes quickly on Tempest opening track Duquesne Whistle. With lyrics like “Can’t you hear that Duquesne whistle blowing/blowing like the sky’s gonna blow apart/you’re the only thing alive that keeps me going/you’re like a time bomb in my heart”, Dylan unleashes his gravelly voice and a blues-riff that cuts straight through to the lyrics’ desperation. Backed by his usual cadre of studio players, the songs that make up Tempest roar to life amid measures of sweeping slide guitar, trilling harmonica, and enough blues-skronk to make Howlin’ Wolf proud. Soon After Midnight, the follow-up track to Duquesne Whistle, shuffles along on a familiar blues beat with Dylan settling into the calm of the night singing about being “down on the killing floors/I’m in no great hurry/I’m not afraid of your fury/I’ve faced stronger walls than yours” with his band calmly trailing behind him. The cautionary spin of the song is carried along by an almost tangible sense of resolution, though whether this comes to be in his favor remains to be seen. Dylan has a choice to make on this song, and even though he knows that both of these choices “lie and dine in their blood”, it’s a risk he’s willing to take. After releasing the relatively unremarkable Together Through Life, it feels like something of a revelation to hear Dylan this fired up and playing to his strengths again. On Narrow Way, Dylan parses out the biblical allusions (“your father left you, your mother too/even death has washed its hands of you”) among self-administered suggestions to “walk across the desert ‘til I’m in my right mind” over sharply hammered guitar lines and a shambling blues rhythm. And he generally keeps to this style for the rest of the album. Though with the addition of strings and banjo on Scarlet Town and a lonesome mandolin on album closer Roll On John, he broadens the means by which he allows these songs to expand. Nowhere is this more evident than on album centerpiece Tempest, an epic recollection of the sinking of the Titanic from the point of view of those onboard. With its mournful accordion and fiddle leads, it’s a harrowing tale of the cost of lives and a tribute to every story told and untold that was ended that night. Despite his long-felt misanthropy, Dylan has never quite had a mental disconnect from that kind of hesitant romanticism which permeated some of his earliest works and that still pulls itself along in the shadows of the songs on Tempest. Even the story of a murder-suicide involving a trio of unfaithful lovers on Tin Angel, with its concessions to the demands of love, sounds almost tender in its inevitable tragedy. He also brings empathy and a sense of compassion to the heartbreaking separation described on Long And Wasted Years. The falling out of love (“It’s been such a long, long time/since we loved each other and our hearts were true”) and the narrator’s eventual longed-for reconciliation (“if I hurt your feelings, I apologize”) are painted in such sympathetic colors that we can’t help but be moved by the honest tenants of their heartache. The album does stick close to Dylan’s usual means of production—the condensed rhythm section, detached though oddly affecting vocals, his emphasis on blues modal traditions—and so the album feels very much a continuation of the sounds of his past few records, though in execution and sustained creativity, it far exceeds its recent predecessors. Even though some people see fit to criticize him for adapting long-established genre techniques and musical concepts, Dylan has never shied away from acknowledging that a good deal of his music is directly inspired/shaped by his influences. But when you’ve been recording and releasing music as long as he has, there is usually going to be some form of repetition that shows up somewhere down the line. What really sets the great artists apart are the ways in which they turn this repetition into something completely their own, as being wholly recognizable as something from that particular musician. And on Tempest, Dylan easily puts to rest those detractors who claim that he’s merely standing on the shoulders of greater artists. This is his music. It has always been his music. And it will continue to be his until our ability to create music has long since passed away.